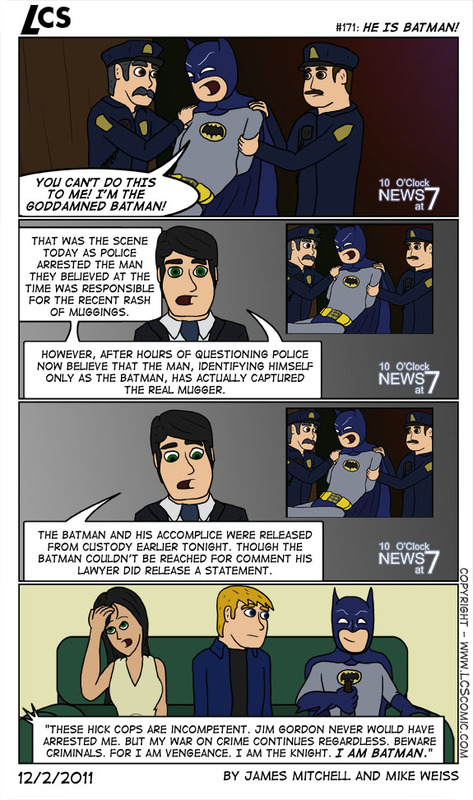 #171: HE IS BATMAN! published on December 2, 2011 Read more posts by the author of #171: HE IS BATMAN!, MikeNo Comments on #171: HE IS BATMAN! Mike: This was a fun arc.